Good day to you. I trust you had a wonderful, safe, and gluten-free Thanksgiving. I’d like to start a dialogue on a subject I think more Celiacs should have an interest in, yet I haven’t seen evidence of in regard to Twitter-stream. What is that subject? Over-the-Counter (OTC) medications and prescription drugs as they relate to Celiacs. What are the ingredients of gelatins in the capsules of Tylenol, Sudafed, Omega-3 fish oil capsules, and vitamins made of? Are those ingredients gluten-free? Have you been curious to know? Do you “blindly” ingest such medications and supplements much like an ostrich with its head in the sand without thinking of the potential gluten consequence(s)? All you want to do is alleviate symptoms and feel better – right? What about that dark secret of you being potentially “glutened” while trying to “feel better?” Please see more on gelatin ingredients of capsules of medications and supplements and know why you should be concerned: http://en.wikipedia.org/wiki/Capsule_(pharmacy). Why should you be concerned? Here’s a quote from the previous link in regard to one method of creating the gelatin for the capsules: “Plant polysaccharides or their derivatives like carrageenans and modified forms of starch and cellulose.” We all know “modified food starch” is a potential code word for “gluten.” This can be a problem for you. Now that you are having an “Oh My God” reaction – here’s some help. First, a disclaimer: I am not a medical professional, nor do I have a medical license of any kind. That said, I have found resources which may help you ‘weed out’ glutenous ingredients in OTC drugs and supplements and prescription drugs. One is http://www.glutenfreedrugs.com/. Another is http://glutenfreeinsd.com/pharmaceuticals.html#other_lists. In case you’re discouraged in finding a list of gluten-free medications and vitamins, here’s an additional resource: http://dearpharmacist.com/?p=755. On the flip-side, another website doesn’t have as much a “rosy picture” for Celiacs in regard to this information: http://url.ie/dm44. However, this resource could help you as well: http://www.medscape.com/viewarticle/406948_2. Note that not all website resources mentioned may be free. I’m not affiliated with, nor do I gain monetary value for mentioning their resources and services. In regard to specific questions in regard to your prescription pharmaceutical drugs, I would recommend you speak with your Doctor or Primary Care Physician in regard to status of being gluten-free. Ask questions – Research and Educate yourself. Please don’t blindly take OTC drugs, vitamin supplements, and prescriptions without informing yourself – I implore you. Research and Educate – be gluten-free. Thanksgiving USA 2011 is in the rear-view mirror. How was the experience? For me, it was a great one. It was spent at home and I was the Master of Thanksgiving Ceremony in the kitchen. I researched every recipe so each ingredient would be gluten-free. I bought and prepared each ingredient to make the dishes. I served all dishes gluten-free. How was your experience? What successes did you have? What, if any, “glutened” experiences did you have? Why am I asking these questions? Because this was the “dress-rehearsal” for the rest of the Holiday Season. Be honest with yourself now on how well, or not, things went for you this Thanksgiving. How you feel today, 11/25/2011, could play in how well you feel on 12/26/2011 or 01/01/2012. These two dates do not include any other get-together dates you may have with co-workers, friends, and family within the month of December – the Holiday Season. Are you starting to understand the implications of why such a retrospect of Thanksgiving USA 2011 is necessary for you? The hardest part of such a retrospect is being honest with yourself. The more emphasis you place on wanting to feel better will make it easier for you to be honest with this retrospect of Thanksgiving USA 2011 for yourself. If you need more control of the dining experience during the next Holidays and get-togethers – then take it. Invite people into your home so you can be assured all is gluten-free. If you need more control by providing more gluten-free dishes to the menu at a friend’s or family’s household – do it. If you would like more control in regard to gluten-free at company outings at a restaurant after work – express yourself. If a company outing is at a ‘less than ideal gluten-free’ setting, please make sure you are prepared and plan accordingly. Eat a light snack or meal beforehand so you will be less likely to cheat. I hope Thanksgiving USA 2011 was as successful for you as it was for me. If not, please be honest with yourself and learn how to make changes for the rest of the Holiday Season coming upon us. Your body, and your Family & Friends, will thank you. Again, my mantra for gluten-free is “Research and Educate.” Research and Educate both for yourself and all who you interact with. Your survival and health depends upon it. Know time is running out in planning your Thanksgiving menu. However, if you are a procrastinator, here are some ideas for you. Easily roast a fully-cooked ham with a brown-sugar glaze you concoct which is gluten-free. If your main course is turkey – melt butter and add sage, salt, pepper, and other spices you like and then stuff turkey with onion, celery, and carrots. Baste turkey (repeating basting while roasting) with butter mixture and roast until done. If you like, separate skin from meat and add spices, herbs inside. Side dishes: they are not as hard as you think. Green beans: Snap green beans and cut onions. Slow-cook together with bacon, butter, salt and pepper until done (nice Southern-style dish!). Mashed Potatoes: Chop potatoes & onion and boil together. Strain. Mash all together. While mashing, add sour cream, milk, and butter to taste; add salt, pepper, and fresh chives while mashing. Roasted Autumn Roots: Combine cubed turnips, onions, sweet potatoes with olive oil and roast with Autumn spices such as cloves, cinnamon, and pumpkin pie spice mix. You’ll like! 🙂 Sweet potatoes: cook to canned recipe offering, with gluten-free ‘topping.’ Corn bread dressing: Make gluten-free corn bread and fry gluten-free sausage. Sauté onion and celery until done. Mix cornbread with onion, celery, sage and other spices with sausage and chicken broth and bake until done. Gluten-free Website Resources – Free! A comment was submitted in regard to a previous blog post asking what my favorite “go-to,” free Internet websites were when I needed gluten-free or celiac disease help or resource. What a wonderful idea! I wish I had thought of it originally. So without further ado, here are a few of my favorite Internet (free) websites I frequent. For general help I use a search engine. My favorite search engine is www.bing.com, however, you can use www.dogpile.com or www.google.com (or your own favorite search engine). My definition of “general help” is looking up a specific interest I’m looking for information on – such as “celiac and thyroid correlation,” “gluten-free barbeque sauce (product or recipe),” or “gluten-free chicken soup recipe.” I also reference www.stuffed-pepper.com; a new all-in-one-stop gluten-free resource with recipes, restaurant information, articles, and more. For medical help, I use the search engine(s) or www.webmd.com. This site, while not diagnostic for your symptoms, is very helpful in regard to help you troubleshoot your illness(es). 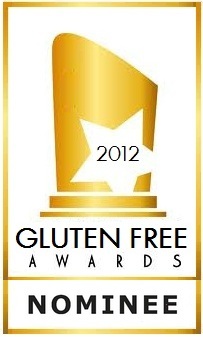 For additional resources, I consult sites for ‘celiac disease’ and ‘gluten-free’ like the following: www.celiacsociety, www.glutenfreerecipebox.com, www.foodista.com, http://blog.JulesGlutenFree.com, www.glutenfreeworks.com, and www.cureceliacdisease.org. You can also consult sites such as www.bettycrocker.com/recipes and substitute gluten-free AP flour in their recipes in a lot of cases (trial & error of course). Some of the websites mentioned in this paragraph are from tweeters I follow. You can find much the same resources by following others who are gluten-free in regard to Twitter. I use these types of resources for recipes or helpful hints – as only these people can provide such information as individuals with their experience. While I know I’ve not included all of my favorite Internet and free website resources (please forgive me in advance! ), I hope this information will start you off with a launching point so you’ll be educated as you learn and research all matters celiac, coeliac and gluten-free. Research and Educate all Celiac, Coeliac & Gluten-free. I feel there are two methods of “getting glutened” I think most everyone will agree takes place. One method is the conscious, blatent cheating and the other is the accidental ingestion of gluten. Let’s take a closer look at conscious, blatent cheating. I feel there are a few reasons for taking this stance in regard to celiac disease. The most obvious one for me is denial – especially if you find you have no “obvious” symptoms once gluten is ingested. Another reason for cheating could be a lack of discipline. Maybe some fear the gluten-free diet will be “too hard or too inconvenient” to follow? Another excuse could possibly be “a gluten-free diet is too expensive.” In regard to all four reasons listed previously, all should be out-weighed with one simple counter-argument: your Life. Research has clearly shown celiac disease is an auto-immune disorder which affects many organs and systems within your body. From digestive system to skin to brain to internal organs – gluten affects a lot within you. Once systems and organs are continually compromised over time, they give out. Yes, you know the end result. Now for the “Good News!” We are in the 21st Century and the Information Age. We have the Internet. Search ‘search engines (such as Bing, Dogpile, Google)’ like this: “gluten free barbeque sauce.” Result? http://glutenfreecooking.about.com/b/2008/06/22/gluten-free-bbq-sauce.htm. You can do searches like this all day long and be gluten-free successfully. You can also search for specific gluten-free recipes and menus. You can follow gluten-free people on Twitter and request advice and ask questions. You can look up restaurants to see if they have gluten-free menus on-line and print, if necessary. There is no end in sight in regard to the gluten-free information you can pull off the Internet and use to your benefit. Consume and absorb the information available to you. At the end of the day, please know you all have many people who love and cherish each and everyone of you. Therefore, love yourself as much as they do and take care of yourself. Noone can take care of you better than you. My mantra continues to be “Research and Educate.” Peace be with you. Ahh! The Holiday Season is nearly upon us. Thanksgiving, the “hustle bustle,” crazy shopping malls, going to Grandma’s house … and … the Food. This last mention is what stresses us the most – the Food. Corporate Holiday parties, going to Family homes, Potlucks at work and social groups – how do we survive it all? We survive it all by researching and educating ourselves. In regard to Corporate Holiday parties – find out who the caterer or food provider is. Find out what the menu is and what your options are. If options will be limited, eat a snack or a light meal beforehand so you will not be tempted to cheat because you’re starving (don’t say you haven’t done that!). In regard to travelling to Family homes – yes, they may know you are gluten-free, but they may not know cross-contamination issues. 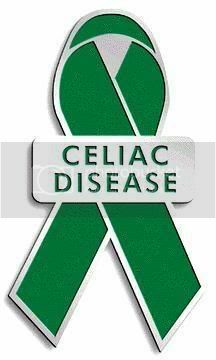 They may assume you can “separate food from the crust.” They mean well, but few more than you know how serious celiac disease is. Again, obtain the menu and lay out a map for yourself in regard to how you will eat. Offer to bring a substantial dish, if possible. Plan, plan, plan – I cannot say that enough. In regard to Potlucks – most of the time there is a “sign-up sheet” with names corresponding to what they are bringing. A couple of days before the event, the sign-up sheet should be about finalized. Get with other members of the potluck and ask questions about their food items. Ask for brand names of bottled sauces they’ll be using and then research on your own to verify if gluten-free. If possible, suggest gluten-free items they may use so you can eat their food item. That said, you are walking a tight-rope here. Don’t expect others to cater to you and bring food items “just for you.” You are one of many – this goes for all Public food events you attend. While it won’t be easy, you can survive the Holiday Season and be gluten-free. The two biggest words you will need to remember are “research” and “plan.” I wish you Luck and know you can do it.